Lower Dolpo area covers inside the Shey-Phoksundo National Park of mid-western Nepal, behind the Dhaulagiri massif, towards the Tibetan Plateau. Cut off by a series of very high passes, closed by snow most of the year. Dolpo remains a truly isolated corner of Nepal. Time has stood still here for centuries as the inhabitants of Tibetan stock continue to live, cultivate and trade the way their forefathers used to do since time immemorial. Other highlights of the area is preserved eco-system encompasses a wild and wonderful variety of plants and wildlife, including the blue sheep and leopard. 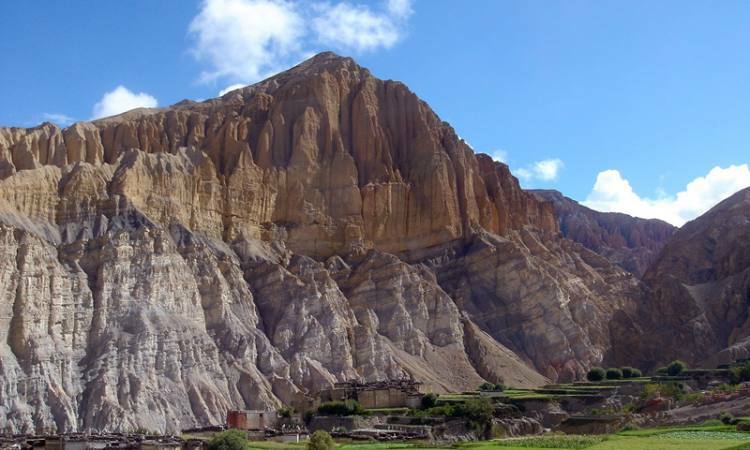 A trek through Lower Dolpo is an experience not easily forgotten in life.